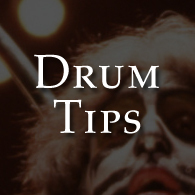 Our first drummer is the late Eric Carr. In memory of his birthday. He is our first of many drummers, Who will be "The Cats Meow". I was happy that Eric got to sit in my old seat after I left in 1980. I met him and liked him right away. He was such a sweet man and a great drummer. I loved his energy and feel for hard rock. He would call me up and tell me they were driving him crazy. I would tell him they are crazy, Hang-in there and do it for you. He was a Brooklyn Drummer as myself and they don't come any better. He once called me to apologize for doing "Beth". He was a Gentleman. What I liked about his playing is he didn't overplay, because some double bass drummers do. He put them in the right places. Can you describe Eric's feelings when he found out he was to become the new drummer in Kiss? It was like a dream. 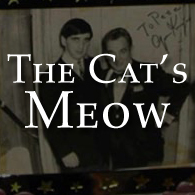 It happened so fast, there we were just a week or so before, all going about our business, not really absorbing what Paulie ( Eric ) was doing, We knew he was auditioning, for Kiss, but it really didn't hit home right away, things like that don't happen in real life (LOL). I remember getting a call and it was Bill Aucoin, he asked to speak to him. Paulie got on the phone, said a couple of yeses and a few yeps, hung up, went into the bathroom, shaved his mustache off then ran out to do something. When he came back home he broke the news. I still remembering us not, quite understanding, such a wonderful thing was happening. It took us a while to believe it. Do you recall Eric's first drum set? In the early 60's my dad would always,take Paulie with him to deliver furniture. He would give Paulie all the tips. At this time the Beatles were around for a while and my brother wanted to learn the drums. There was a small music store, that was ready to move and my dad had this great idea to see if they needed a mover. In exchange, he would ask for a drumset, well, Dad's idea worked and he managed to get Paulie a 3 piece set of drums, I believe they were zimgar, something like that. When was the first time you saw Eric play with a band? We saw him at the Palladium, his first show, and it was unbelievable, it took the fans a while to warm up to him, but by the end of the show, they were shouting Eric, Eric! It was kinda weird to hear people shouting, for my brother, to me he was still, they same guy, who sat in the house, the night before watching TV and eating his Gino Italian Ices. Who were Eric's influences (Drummers and Bands)? 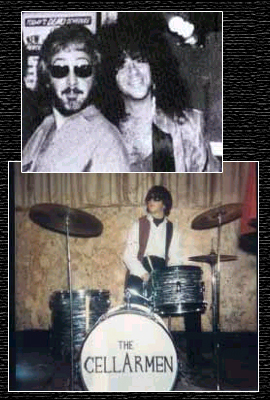 Of course, there was Ringo, but I know he just adored John Bonham and wanted to achieve that heavy sound he had. First, my family and I would like to thank all of you who have supported Eric throughout his years with KISS, and still continue to keep his memory alive. A special thank you to Peter and GiGi, who made me feel welcome! Thanks for taking the time to honor my brother. 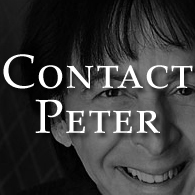 My brother always thought Peter was a CLASS ACT! 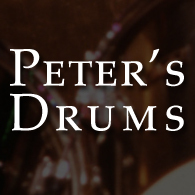 Copyright ©2002-2018 PeterCriss.net All Rights Reserved. and cannot be used in any way without written consent. This includes but is not limited to audio files, video files, images, and written material.